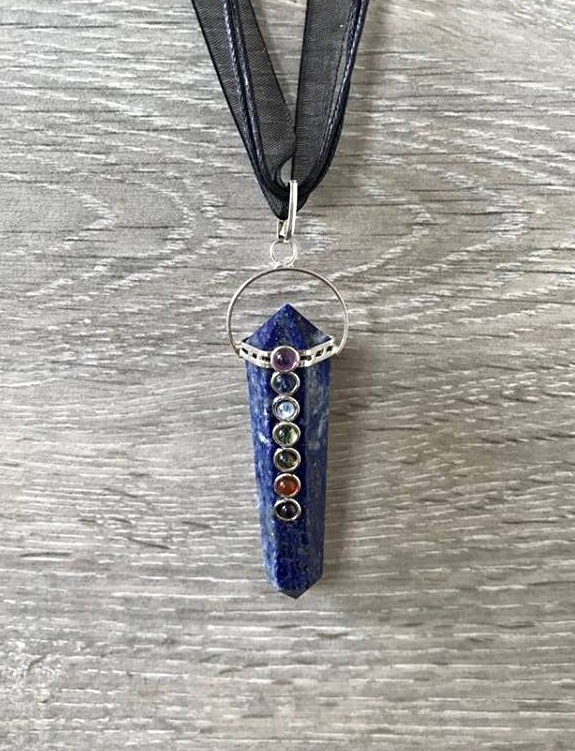 Lapis lazuli is a good stone to wear to help to relieve anger, and dispel negative thoughts, as well as calming frustrations that are the root of the anger. They are said to balance up the male and female aspects of your personality. 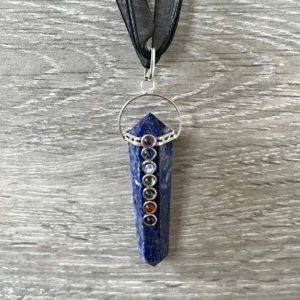 The beautiful blue crystal, can intensify the growth of intuition, psychic abilities and channelling your guardian angels. It is said to help the throat and thyroid gland, it is also known to help hearing loss and vertigo. Helpful healing stone to assist the immune system as well as nervous system and respiratory system. Known as an effective pain relief and particularly helpful with headache and migraine. It is said to help if you are feeling anxious or depressed, so that on its own is a good enough reason for it to be used. Comes on 18″ ribbon cord and is presented in a gift bag.